Bumble, post dental surgery, all roar, no bite. Tall and can reach things. See above, roar a lot. Boring answer: on the treadmill. Candy canes, licked down to a dangerously sharp point. The closer you get, the bigger the disappointments. Don’t quit. Traditionally published. Mostly because I’m not computer or marketing savvy enough to properly self-publish. I’m more of a “Holly Jolly Christmas” kind of girl. I think I’d have to say Lena Reyes, Sadie’s best friend in Spying on the Boss. She has her own book coming out in April. She is strong, smart, sassy and fierce when it comes to family and friends. Depends. I’m a nurse, so I work on holidays. If I’m not working at the hospital, I may squeeze in a few words. We aren’t big party people so our holidays tend to be rather low-key. No. 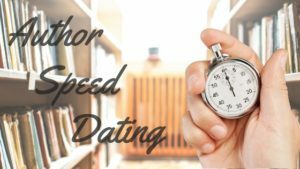 I was part of a writer’s group many years ago, but I was the only romance writer there, so I felt pushed to be “literary”, and it hurt my writing. Now, I have my Fella give me feedback (he is a writer also). Which one? Go to the gym at least four times a week? Drink more water? Eat more healthfully? Start dressing like a grown up? Don’t wear pajamas all day? She tried not to look, but how could she not? He was too good looking. That black curly hair and the blue eyes. His shoulders, his chest, his arms…he was built but he didn’t try to show it off by wearing a shirt two sizes too small for his body. She bit her bottom lip, felt it slip back into her mouth as she watched him. Those jeans. Levi’s. Straight forward working man’s jeans. Nothing fancy. She felt warm in all the wrong places. Short, sweet, to the point. Get out of here before he offers you a ride. She pushed the stroller but he met her at the sidewalk. He squatted to look at Ian. “Go! Go! Go!” Ian shouted back. He looked at her. Then at the duffels. Then at the street. He rubbed his jaw, the stubble there making a faint scratching noise that went straight through her. She squared her shoulders. Work. Whoa. Wait. What was it that lady had told her on the phone? He was here setting up a cleaning business. She could clean. “Mickie,” he said, cutting off her babble. “Oh.” She was too disappointed to say anything else. She could feel him watching her as she navigated down the sidewalk to the street. All male. Weren’t there, like, discrimination laws about stuff like that? She tried to get angry about it but she couldn’t seem to think around the echoes of the scrape of his fingers against the stubble. Her own fingers twitched on the stroller handles. She’d like to run a finger over that stubble. Boss on Notice, an installment in The Cleaning Crew miniseries, may be purchased through these retailers: Amazon, Barnes & Noble, Harlequin and Books-A-Million. 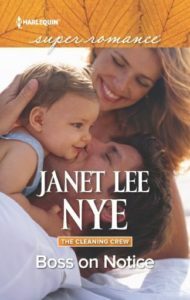 Janet Lee Nye is a writer by day and a neonatal nurse by night. She lives in Charleston, SC, with her fella and her felines. She spends too much time on Twitter and too little time on housework and has no plans to remedy this. Stay in touch with Janet through her website, www.janetleenye.com or through these social-media channels: Facebook and Twitter. 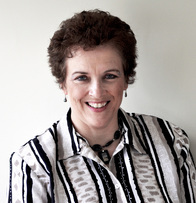 Learn more about Janet and her fellow Harlequin Superromance authors on the Superromance Facebook Page or the Superromance Authors Blog, www.superauthors.com. 1.Which character in “Rudolph the Red-Nosed Reindeer” is your favorite, and what does that say about you? The Abominable Snowman, Bumble. Poor thing has no teeth at the end, but he does the whole lemon out of lemonade thing and is quite happy when all is said and done…Who knows what says about me! LOL! Tough one. Um…I don’t know! Trick question! 6 full drafts of one manuscript in 6 years, but it was a full rewrite each time so it was like 6 books. The “second” book, I cut out 100 pages at one point and did serious rewrites—probably the equivalent to 2 books. So, technically, 2 books, but in reality, 8 books. And, are you confused yet? Traditional, mostly because I worked full-time and didn’t want to figure out how to go it alone! “O Holy Night”, ANY version. Though I might have crush on Bing’s voice. Tough one. Grace, because she’s got a steady coolness I can’t dredge up. I’m much more like Lilias from In Bed With A Spy, or Vivienne from my upcoming release from Entangled—they don’t hesitate to kick a$$. I have a temper! Usually well buried, but when it comes out…whoo boy. Run. But Grace has something softer about her that I wish I could find in myself. Same as always… BICHOK. It’s actually easier to write over the holidays because I have more free time! Do they serve potato chips at the holidays? Because I’ve actually hidden in my pantry so I could eat cheddar and sour cream chips and not have to share. I might have also been in recovery after a Terrible Twos tantrum. Not a formal critique group, but a few friends who trade manuscripts back and forth…It’s been invaluable. Absolutely invaluable. We were at the same points of our career, which meant we discussed craft, too, and though I still have so much to learn, I wouldn’t know what I do know without them! Lose weight, naturally! Some years I do, some years I don’t. But I recently decided not to make that resolution. My 2017 resolutions are: Be happy. Be healthy. Be strong. Love on my family. Forgive myself for mistakes, but always persevere. Go to the gym not because I want to lose weight, but because I want to be a healthier version of me…I think that about covers it! It didn’t seem possible a person could be abducted from a London townhouse in the middle of a crowded ball. But it had happened. Now here she was, sitting in Angelstone’s carriage, with the faint glow of the lamps highlighting his inflexible jaw and cutting cheekbones. All lean legs and broad shoulders, he filled the vehicle’s interior. In the partial light, with his unreadable gaze and his unruly queue of hair, he looked much more dangerous than a fallen angel. “Mrs. Fairchild.” The words were clipped. No seductive purr, no sensual smile from those lips. Lips that had kissed her senseless and reminded her she was a woman with needs and desires. Even now, she could she taste him. Rich brandy and wild heat. Embarrassment washed through her. She’d been forward and shameless, and look where she found herself. Hands bound and trapped in a man’s carriage, destined for parts unknown and heaven knew what treatment. “Why am I here?” she fired back. “I think you are quite aware.” He watched her steadily as he pulled off first one glove, then the other and stuffed them in his pocket. It was an unpardonably rude gesture for a gentleman. Obviously, he was not a gentleman. He was close enough she could kick him. But she wouldn’t be able to open the carriage door quickly with her hands bound. And he had the medallion. The final gift from her husband, one he gave her with his last breath. She refused to leave without it. “The medallion is mine,” she said. “Is it? Interesting.” The conversational tone of his words was oddly frightening. “Well, now the medallion is mine.” Propping his elbows on his knees, he leaned forward. He filled the space between them until his face was only a foot from hers. The instinct to shrink into the seat was overwhelming. 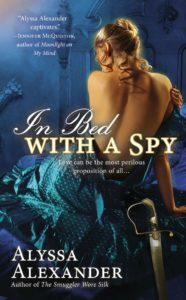 In Bed With a Spy may be purchased from these retailers: Amazon, Barnes & Noble and Books-A-Million. 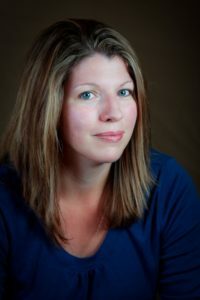 Connect with Alyssa through her website at www.alyssa-alexander.com or through these social media channels: Facebook, Goodreads, Pinterest and Twitter. Walk away and let my brain come up with it when I’m thinking about something else. Or I nag my inner circle, disregard their ideas, and go with my own anyway. More than one…but Jennifer Robson, Mary Balogh, Suzie Enoch, Julie Ann Long. LOVE historical romance, particularly WWI and WWII and Regencies. Nine – I sold my 10th. Write, write, write, and take time to learn your craft. Sometimes yes. But only if I feel like weeping. Being unable to write due to depression. I figured out I needed to get better first and hoped my creativity would rebound. It did. 🙂 But it was a rough 2 years. Mostly traditional. I forgave myself for not enjoying the indie process and haven’t looked back. People have to do what’s right for them and what keeps them inspired and fulfilled. “White Christmas”. I love Josh, but classic Bing…the only thing better is Nat King Cole’s “The Christmas Song”. Willow from Someone To Love (coming in March). She’s so zen. Plus way more bendy than I am (yoga). My mother-in-law’s fruitcake. I know! Fruitcake? But it’s soooo good. Not a crit group per se, but a small group of writers. My writing and my life are so much richer for having them be a part of it. Charlie Yang had never considered herself much of a joiner. So it went without saying that she was surprised to find herself in the middle of setting up a nativity scene in front of the Jewell Cove church, stuffing scratchy straw into a crudely constructed manger. 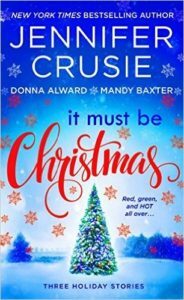 They’d had an early snow, and the layer of white covering the ground and the branches of trees and shrubbery added to the feeling of holiday spirit that had taken over since Thanksgiving. Like a well-oiled machine, Gloria Henderson and her army of church ladies had taken charge of the volunteers and had assigned jobs to everyone. The men were tasked with anything requiring a ladder and heavy lifting—including lugging three wise men, Mary and Joseph, the shepherds and sheep and every last bit of the nativity to the front yard. Right now Bill—Charlie had forgotten his last name—from the service station was positioning the figures in the proper places, which were the exact same spots they occupied each and every year, apparently. Charlie gave a dry chuckle. You could always count on small towns, and Jewell Cove, Maine, was no different. It was practically steeped in saltwater traditions. Still, it stung a little that the committee had taken one look at Charlie’s attempt at the red-and-green velvet bows and suggested she might be better suited to helping with something else. She was a doctor, for heaven’s sake. She could suture a wound and leave barely a trace of a scar. Surely her bows weren’t that bad . . .
She’d been sent off to the front of the church with specific instructions: set up the manger, uncoil and string the lights, and put Baby Jesus in place. Charlie huffed. She’d been number three in her graduating class from med school. She could set up a nativity scene with one hand tied behind her back. She shivered against the cold, zipped her puffy jacket up the last three inches, and wished she’d thought to wear a hat to keep her ears warm. She sat down on the cold, wooden platform the church had set up to house the nativity scene. It was a lonely, solitary task and she found herself carrying on a one-way conversation with the doll just to break the silence. “I have skills, Baby Jesus. Specific skills. Skills that I should be using right now with my patients. Not sitting in the cold unraveling tangled lights.” She sighed in frustration. God, she was talking to a doll. A doll who was, at this moment, staring at her with unseeing, unblinking eyes. It was a little bit creepy, so she turned her attention back to the task at hand, working away at a stubborn knot, muttering to herself. Once again the gloves came off; there was no way she could straighten the knotted wires with the material in the way. She blew on her fingers and started again. Charlie cursed under her breath as the knot let go only to reveal another. A burst of laughter drew her attention away for a moment, and she watched as a couple strolled along the sidewalk holding hands. She jumped at the sound of a deep voice behind her, a muted squeak bursting from her mouth, then spun around to find a giant of a man standing there, feet planted, arms crossed, and an amused expression on his face. Not just any man. The man. Her cheeks flamed with embarrassment. “Baby Jesus?” she suggested weakly. Busted talking to a doll. She felt about three years old. What? It took a few seconds before she realized that she’d grabbed the doll like a weapon and was currently holding it like she was a quarterback ready to go long. Charlie looked down at the doll’s face and then tucked it more securely in her arms. “You startled me, that’s all,” she replied, emitting a breathy laugh. Holy crap. From afar he’d looked big, but her dream guy was over six feet for sure, probably closer to six four, big feet in big boots, faded jeans, and one of those plaid quilted jackets she’d seen a lot of the men around here wear when the weather was cold but not downright frigid. His arms were crossed, and the stance accentuated the muscles in his arms and shoulders. His hair was thick and dark, highlighting a face that sported a stunning set of brown eyes with long lashes, a strong jaw, and good cheekbones. The It Must Be Christmas anthology may be purchased from these retailers: Amazon, Barnes & Noble and Books-A-Million. The novella, “Christmas at Seaside Cottage”, is also available individually through these retailers: Amazon, Barnes and Noble, iTunes and Kobo. 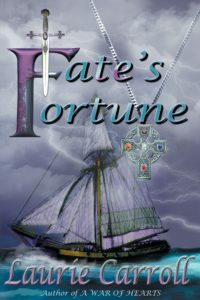 While bestselling author Donna Alward was busy studying Austen, Eliot and Shakespeare, she was also losing herself in the breathtaking stories created by romance novelists like LaVyrle Spencer, Judith McNaught and Nora Roberts. 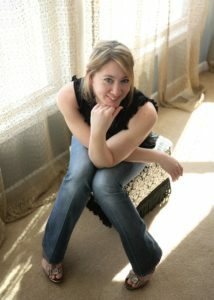 Several years after completing her degree she decided to write a romance of her own and it was true love! Five years and ten manuscripts later she sold her first book and launched a new career. 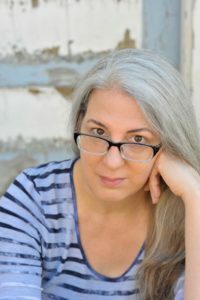 While her heartwarming stories of love, hope, and homecoming have been translated into several languages, hit bestseller lists and won awards, her very favorite thing is when she hears from happy readers. Donna lives on Canada’s east coast with her family which includes a husband, a couple of kids, a senior dog and two crazy cats. When she’s not writing, she enjoys reading (of course! ), knitting, gardening, cooking…and is a Masterpiece Theater addict. You can connect with her through her website, www.DonnaAlward.com, or on Facebook or Twitter. Join her mailing list here.